The Ibn Haldun University School of Islamic Studies is pleased to share the program of the international symposium on the legacy of Muhammed Mustafa Al-Azami, organized to take place between December 19-20, 2018, to mark the first anniversary of the scholar’s death. Al-Azami began his search for knowledge in India and furthered his studies in various countries around the Islamic world and the West. He carried out significant scholarly work, and combined classical Islamic scholarship with modern methodologies in his research; noteworthy is Al-Azami’s analysis of orientalist ideas through the perspective of his profound knowledge of hadith sciences and Qur’an history. Muhammed Mustafa al-Azami’s primary research focus was on the formation of early hadith literature, the origin of isnad, and the methodology of hadith criticism. Al-A’zami worked for years in universities in the West, and was familiar with the orientalist mindset. In this regard, he is globally recognized for his scholarly refutations of the thesis developed by some Western researchers proposing the inauthenticity of the isnad system. His works, such as On Schacht’s Origins, and Studies in Early Hadith Literature, have made major contributions to modern hadith research, and have been included among the main reference works for researchers invested in Western studies of Islam. As a scholar, al-Azami was also interested in the compilation process of the Holy Qur’an. The fact that he examined the compilation process of the Qur’an from a comparative perspective, taking the formation process of the Bible into account, distinguishes his work from that of others. He passed away on December 20, 2017. 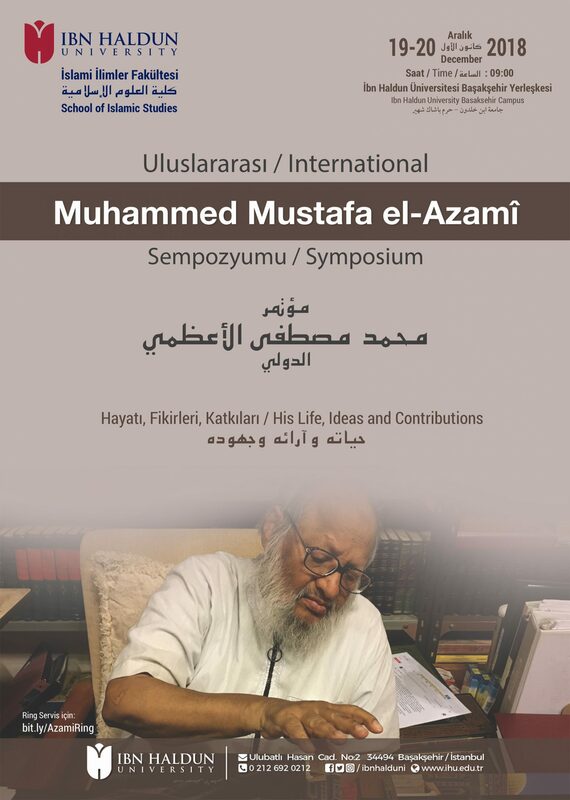 This symposium, titled “International Muhammed Mustafa al-Azami Symposium: His Life, Ideas, and Contributions,” is organized to honor al-Azami’s scholarly legacy, and will bring together leading academics, researchers, and scholars specializing in these subjects both in Turkey and around the world.